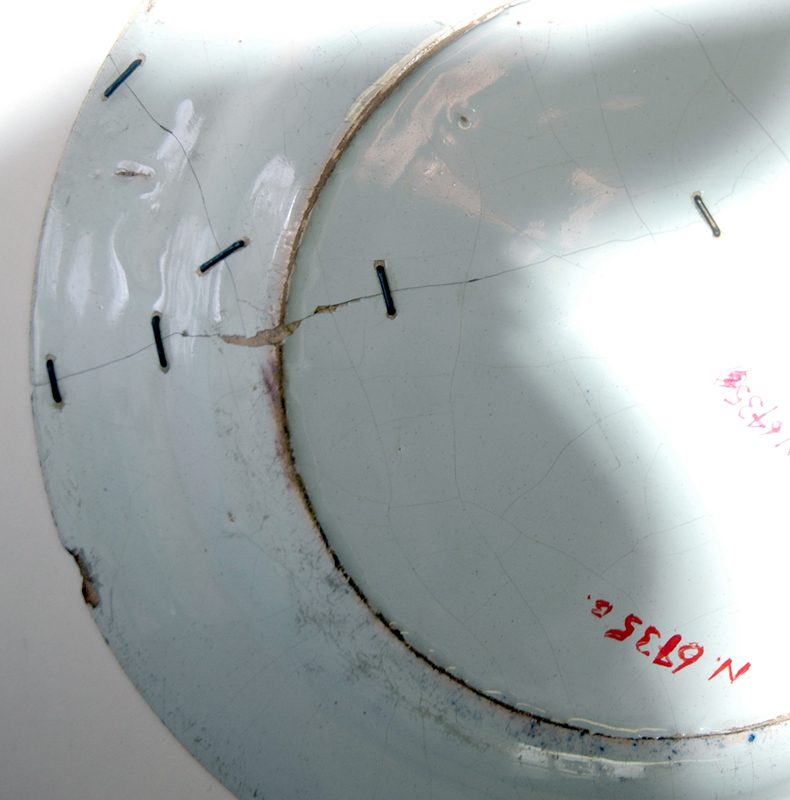 What follows is a pretty much the ultimate in the evidence of mending…you have been warned. 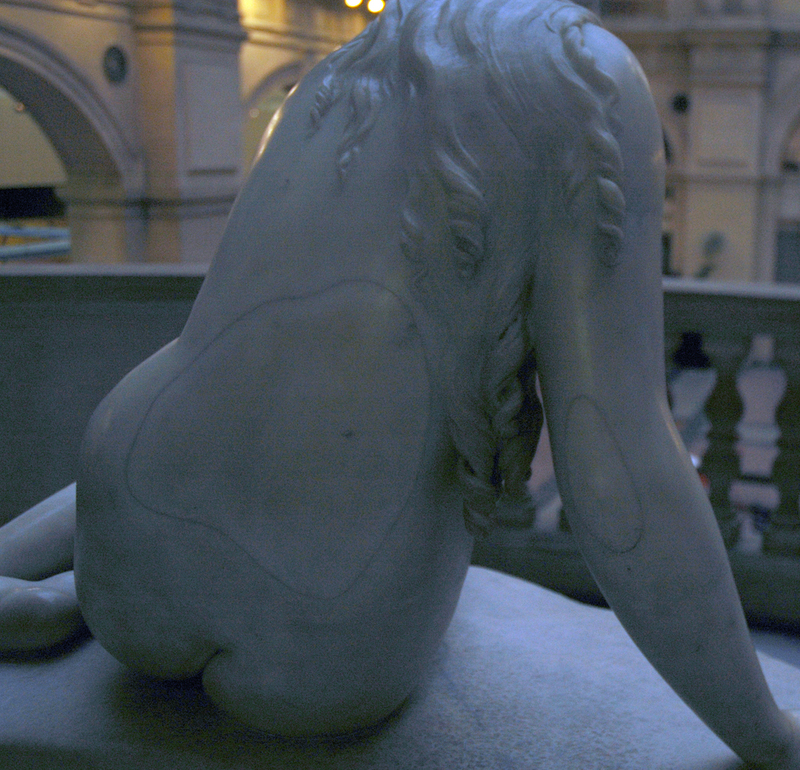 A colleague, Dawn Mason, and I recently organised a day at the the Bristol Museum and Art Gallery to research a project called Stitching and Thinking, for the ETC. group affiliated to UWE Bristol. It aims, by way of workshops, DVD interviews, playing with disparate materials and now visiting museum archives, to try to record the thoughts that creative makers, designers and applied artists feel when they are engage with their material. 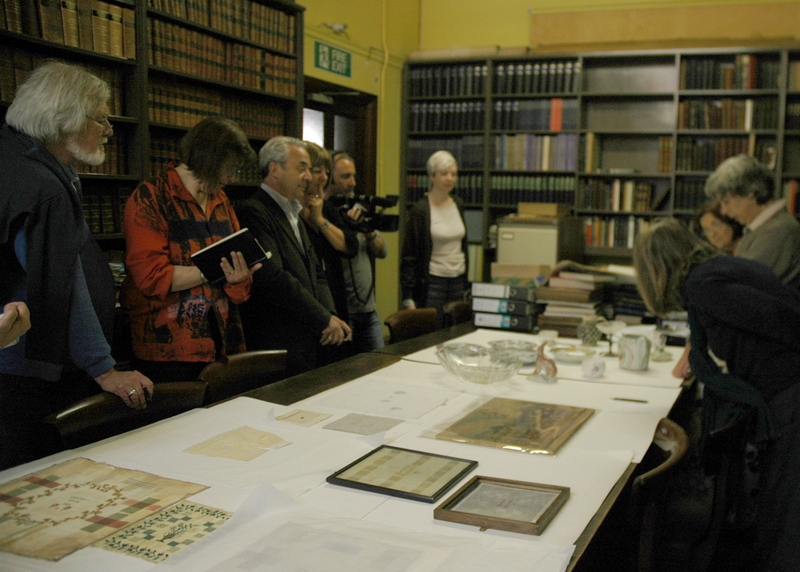 ETC group of researchers examining the broken and mended archive materials. 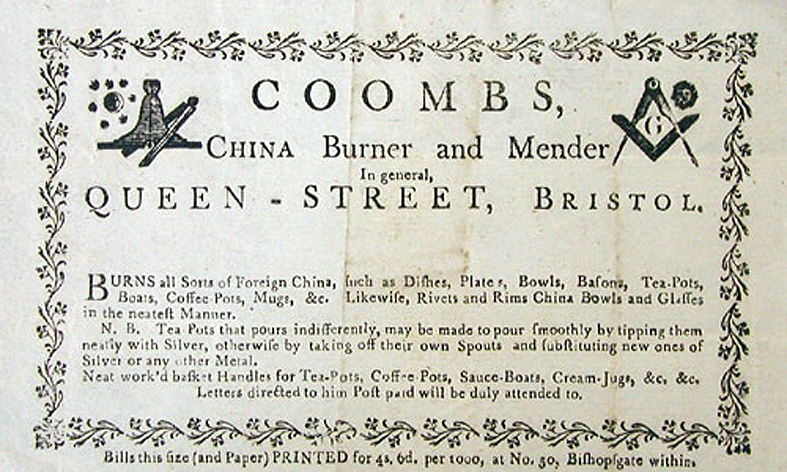 The group comprises academic and research staff from UWE, experienced makers and designers who run their own businesses – earning a living by making and selling their own work. They are nationally and internationally known and respected within their field: jewellers, ceramicists, basket weavers, stitchers, knitters, enamellers….. we aim to make work together by sharing our skills and philosophies. I also invited a critical writer, an interviewer and a cameraman to record the day. 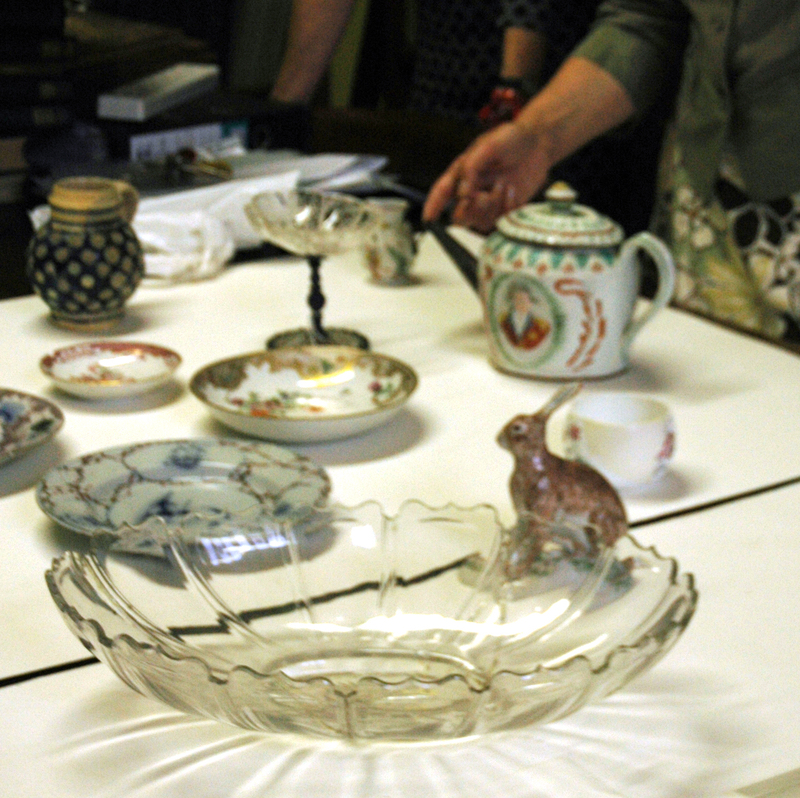 We were given a short introduction to the mended pieces by Karin Walton, the curator of Applied Arts, who I think was rather bemused by our fascination with this odd collection of stuff. my favourite infilled and painted repair. 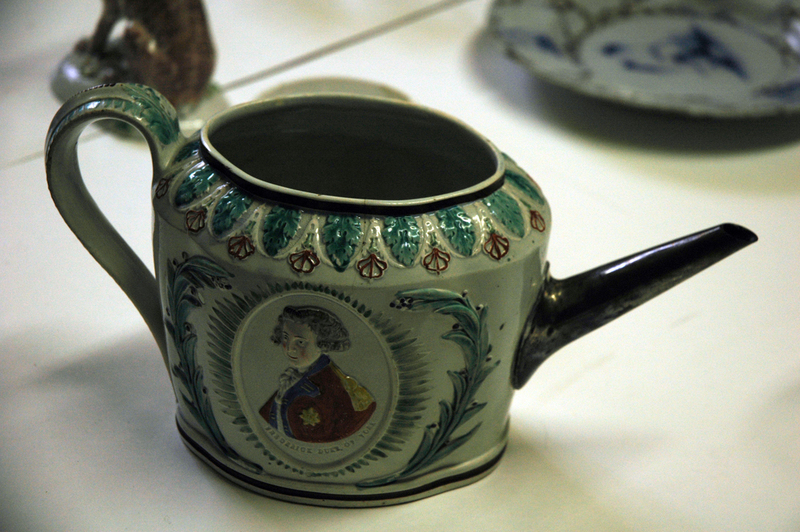 The museum’s attitude to working on anything needing repair is to neither deceive nor detract from the original and all repairs need to be removable. 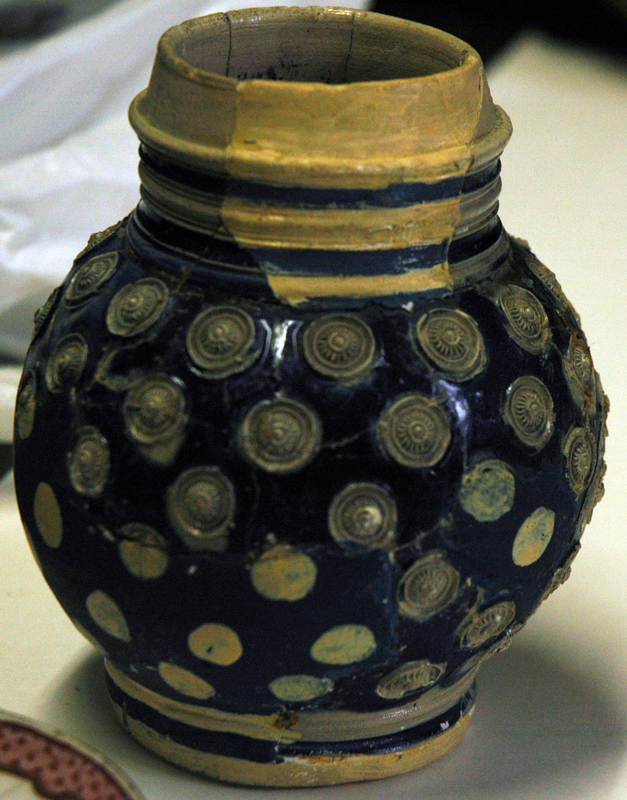 But many objects were mended before they came into the museum’s possession. Some of the pieces mended in the museum are really very refined, they often have carefully painted patterns so that the repair is not too obtrusive; but I think the ethereal quality of some painted repairs adds to the charm of the originals – but I would, wouldn’t I? Some of the repairs are really lively, just additions to make the item serviceable again, we were all reminded of our wasteful society and how we will just throw broken things away and replace them, in fact most technology is superceded by the latest model long before the original has worn out. 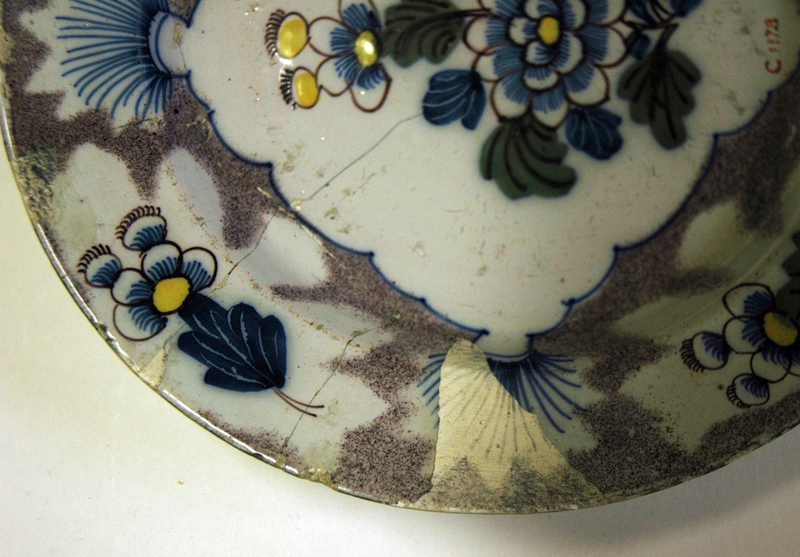 But I was also intrigued in the types of repairs found when turning the pieces over, the staples or rivets in the cracked porcelain and glass were particularly pleasing and I would really like to learn how to make them. They look so simple a solution to holding broken pieces together but they must take courage to drill when the object is of worth. 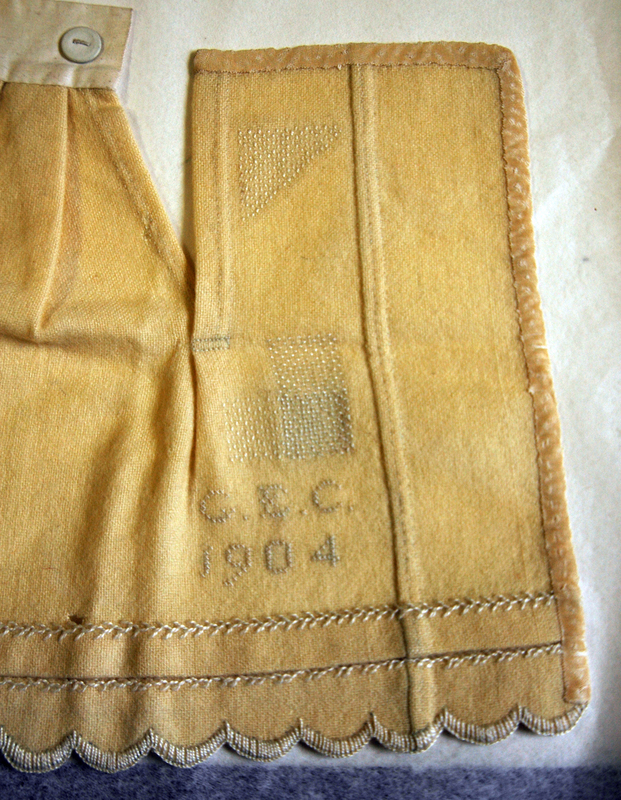 But as I have remarked before in the earlier blogs on mending, a decent mend is a sign of worth. 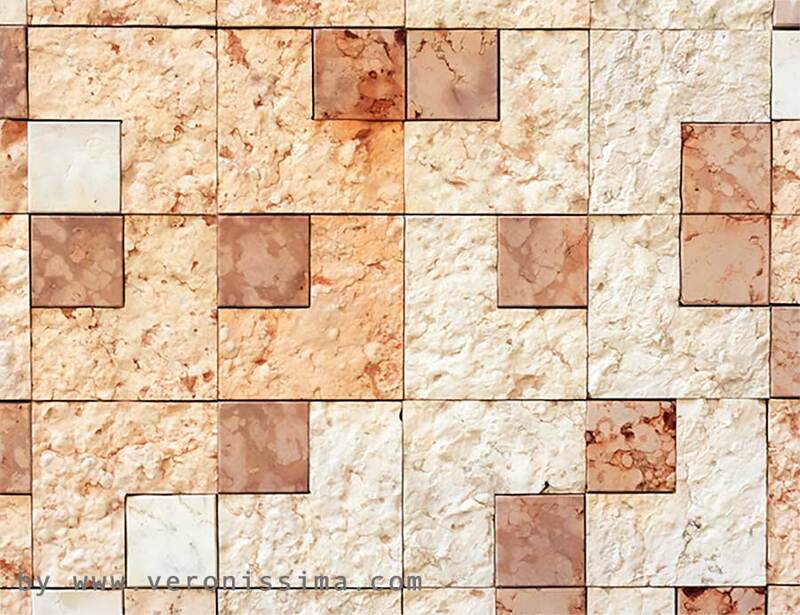 But I am most intrigued by the blanks in the design left by the restorer when using a plain infill – the strange shapes are perfect “blank canvasses” for me to start to invent into. 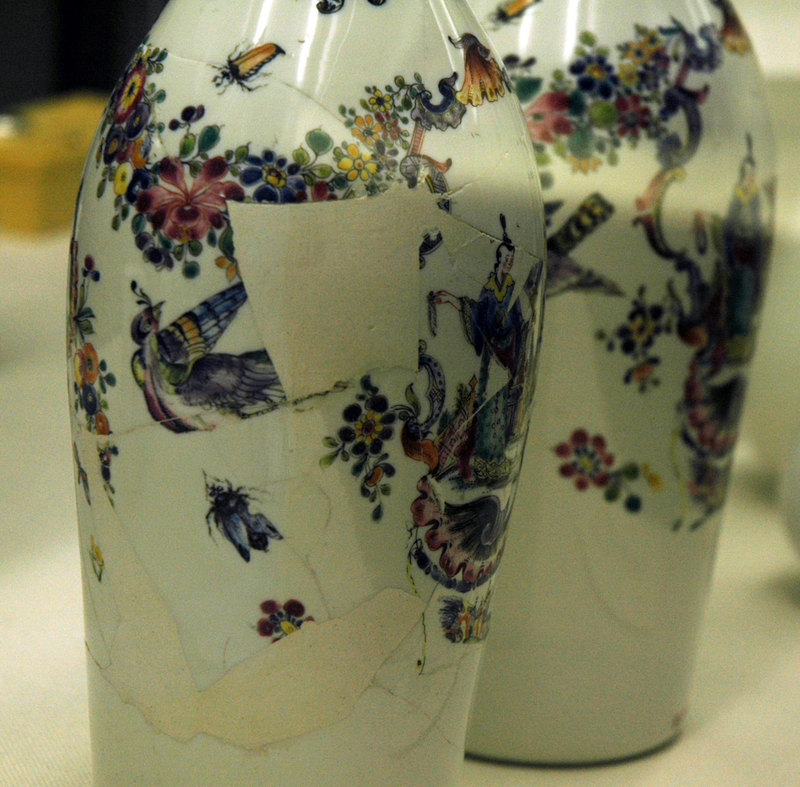 these 2 Chinese style glass vases really intrigue me and make me want to think carefully what I can invent to replace these strange white repairs. 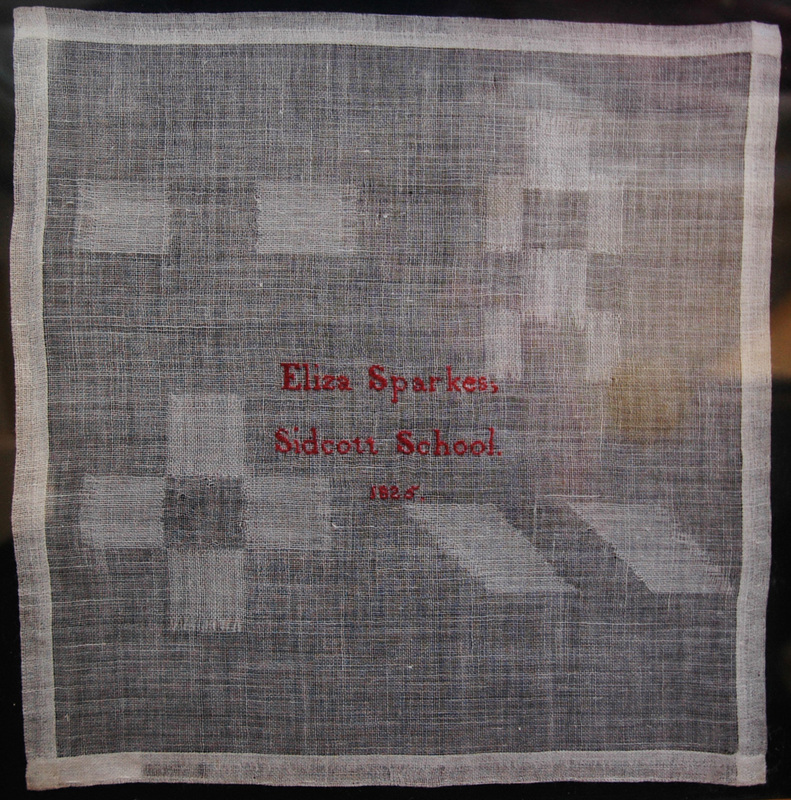 The inspiration for this project to develop work from the museum was because I wanted to show the group the stitched mending samplers. 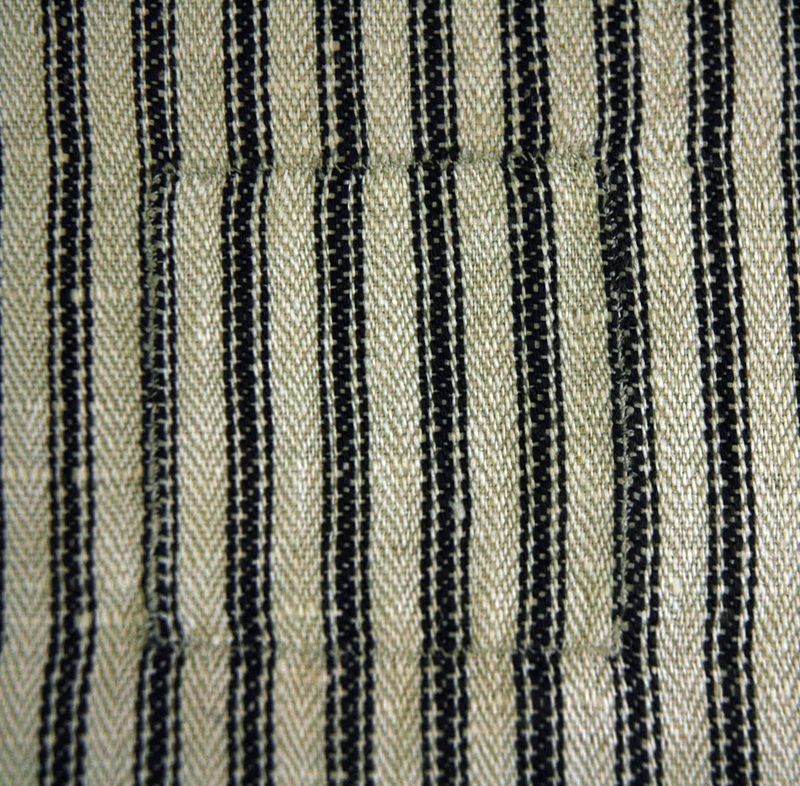 Bristol Museum holds one of the most comprehensive sampler collections in the country, it is held at The Georgian House and can be visited by appointment. I have researched it many times and I wanted the group to see these particular samplers so Karin, who has written the catalogue for whole collection, brought over several for us to view. The sampler above is from the local Quaker school in Sidcott, it is so fine and holds a special, and to some people in the group, a troubling presence. I just am concerned about the poor childrens’ eyesight and patience, both of which which must have been strained to the limit. 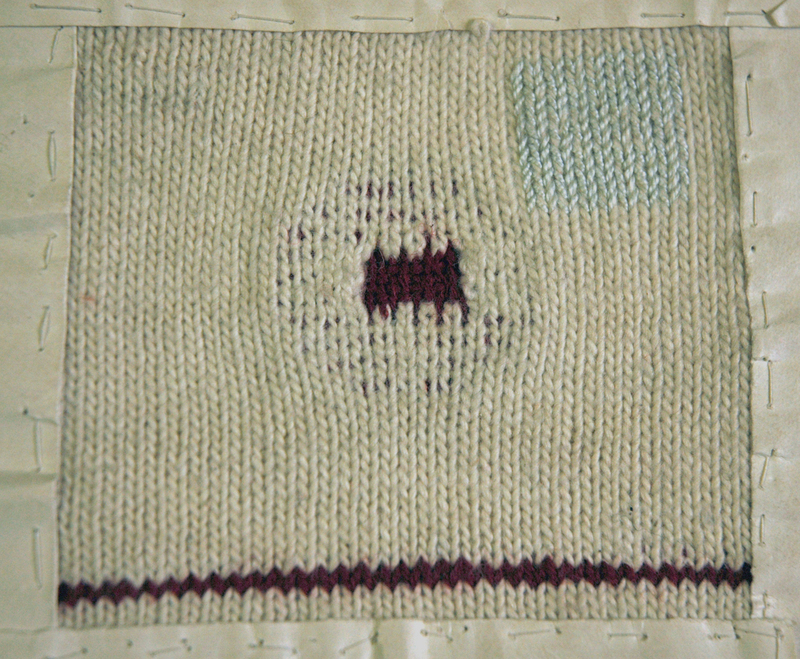 knitting darning sampler in wools and silk. 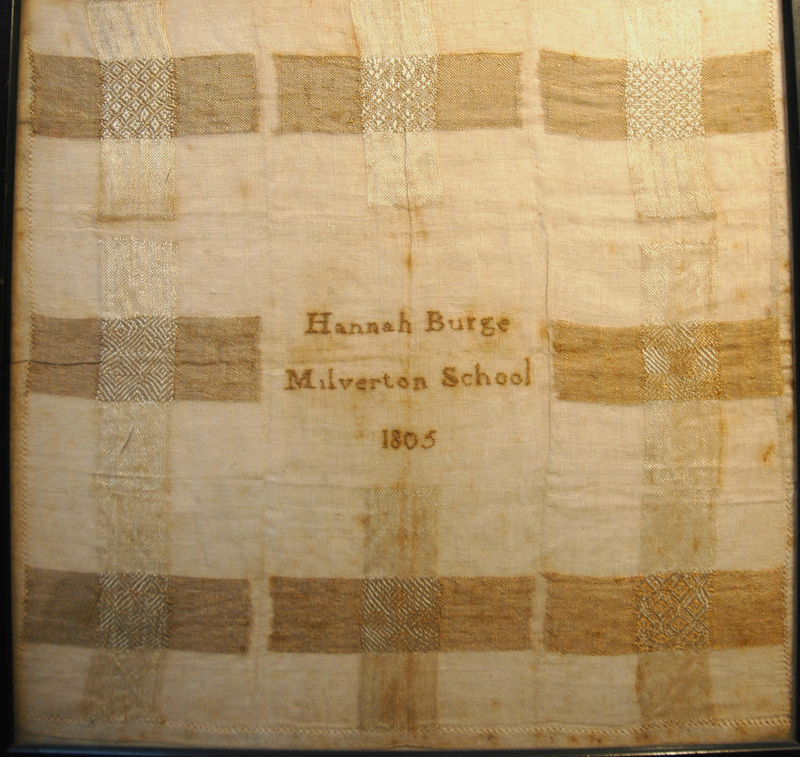 What is noticeable about the plain workmanlike samplers she brought us is that they are made in schools, the young girls who stitched these were learning useful techniques which would stand them in good stead in the future, either for running their own households of serving in someone else’s. Moving into the museum galleries after our morning in the archives we were all alert to the many mends in evidence, this elegant marble mend on the back of a statue is particularly pleasing, although I would be interested to know at what stage the marble was patched, before or after the caving? But Now the group, myself included, needs to go and start to create work that has been inspired by the morning, I will keep you posted on any future progress. After sixty you get philosophical – you wouldn’t have stood for half an hour when you were younger, and then you wouldn’t have ended up with such a beautiful plate!